I really don’t understand meal plans. I mean, conceptually, I get it. When you’re starting a new eating plan, an expert tells you exactly what to eat and when to make it a little easier. But practically speaking, it makes no sense to me. What if I don’t want to eat salmon on Monday? However, I understand the desire to have a more concrete plan than “eat clean food,” especially for someone new to paleo or tackling a Whole30® for the first time. So this post is a description of what I’d do if I was going to do a Whole30 right now. 1. This is a Whole30 Meal Plan… and it’s not. It’s more of a food and cooking plan. I’m not going to tell you what to eat when, but I have made recommendations for foods you’ll want to make sure you have in your kitchen and recipes I think make the Whole30 easy and delicious. 3. I created a complete shopping list. I went through the recipes and made a list of everything you’ll need to make the food below, and it’s in a PDF so you can print it out, cross out the things you don’t need, and add whatever else you think you might want to nosh. You’ll definitely want some stuff in your kitchen that’s not included in this blog post or shopping list. I’m talking about lovely nibbles like coconut chips or black olives, or luscious in-season citrus fruit, or a vegetable that catches your eye at the farmer’s market. Download the Week 1 Shopping List. Think about the people you need to feed and adjust your shopping and cooking accordingly. I guarantee you that you’d rather have more food than you need (you can always pop it in the freezer until you’re ready for it) than to run out mid-week when you’re tired and hungry. If you’re cooking for ripped-to-the-max CrossFitters, they eat more of everything than a “regular” person. If you’re cooking for just yourself, you might want to cut quantities in half, or freeze half of the larger recipes below. This might seem complicated and overwhelming now, but after a week or two, you’ll be a pro. Relax! You really can’t do it wrong. I promise. This Food Plan is based on two components: (1) Hot Plates, which are essentially meat+veg sautés you can make on-the-fly, and (2) Bulk Recipes that make scrumptious dishes in larger quantities so you have leftovers throughout the week. The combination of both means you can fight boredom and have your own personal menu of choices to choose from every day. 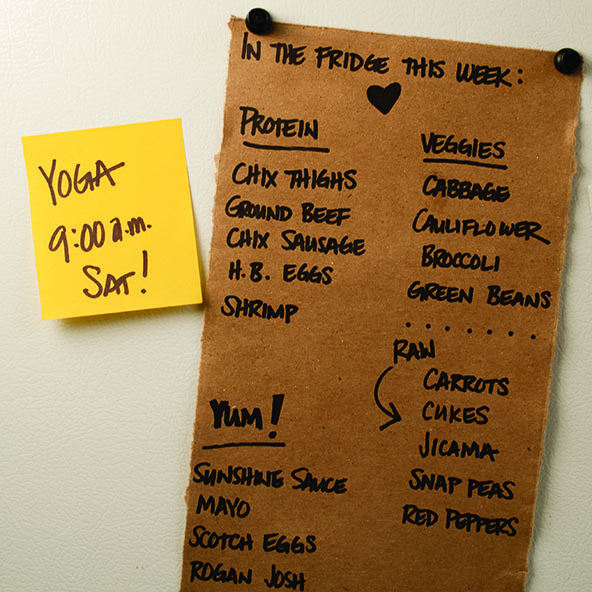 Your fridge is about to become your favorite restaurant. The info below lists the recipes I recommend you make for a week’s worth of meals, plus a step-by-step plan for getting it all done in about two hours. 3-2-1… GO! Here’s my recommendation for what you’ll cook for Hot Plates during Week 1. The detailed instructions are below, but this gives you an idea of the quantity and ingredients. Ground Beef: 2-3 pounds, browned in a skillet with lots of salt, ground black pepper, and garlic powder. Boneless, Skinless Chicken Thighs : 2-3 pounds, roasted with lots of salt, ground black pepper, garlic powder, and paprika. Tuna, Sardines, Shrimp: Stock up on cans of tuna (my favorite is Genova Tonno, packed olive oil, no extra ingredients), sardines (my fave are Crown Prince, skinless and boneless), and shrimp (I defrost frozen, wild-caught in the fridge for last-minute meals). Alert! 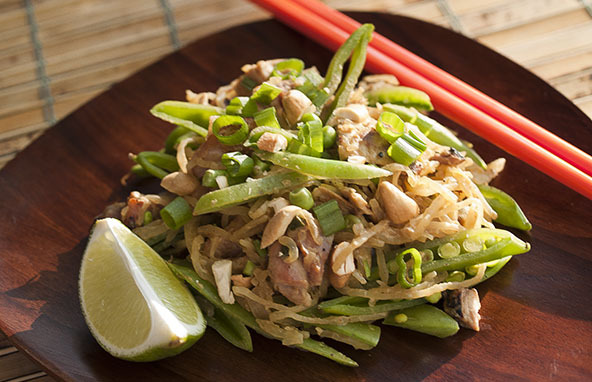 If you make roasted chicken thighs and roasted spaghetti squash and Sunshine Sauce and stock up on snap peas, you have everything you need for Pad Thai. In addition to Hot Plates, I think it nourishes the soul to have some home-cooked, comfort foods in the fridge. The great thing about all the recipes I’ve listed below is that they taste better the longer they sit, so you’re guaranteed delicious meals all week long. Chocolate Chili: This is one of my most popular recipes, and if you double it, you can freeze half to have chili on-demand. Italian Pork Roast: This recipe yields tender, flavorful pork that’s great on its own and works well in Hot Plates or salads, too. Silky Gingered Zucchini Soup: Soups are one of my favorite ways to get extra vegetables without even really thinking about it. This is a favorite of mine for breakfast, but if that’s too weird for you, just eat a small bowl before lunch or dinner, or as a snack. I made a shopping list that includes all the ingredients for these recipes. Be sure to give it a once over to add additional stuff — like veggies and fruit to supplement these recipes — and to remove stuff you already have in your pantry. Download the Week 1 Shopping List. If you want to cook all of the stuff listed above and want to spend the minimum amount of time in the kitchen, there’s a plan below for how you can do it. This should serve 2-4 people for the better part of a week, give or take a meal or two. The recommendations included here are the way I cook for my husband (6′ 5″) and myself (5′ 4″) to keep us going through work days, strength training, walks, and yoga. NOTE: This is pro-level cooking organization. It requires you to fire up the stove, the oven, and the slow cooker all at the same time. Put on some favorite tunes, get yourself a big glass of water, take a deep breath, and start chopping and stirring. You can do it! 1. Sharpen your knife. Get out your cutting board, some baking sheets, and a non-stick skillet. Drag your slow cooker out of the cabinet. Dust off your blender. Fill your water bottle. Turn on your tunes. 2. Take an egg out of the fridge to come to room temperature for the Olive Oil Mayo. 3. Preheat the oven to 400F for the chicken thighs, roasted spaghetti squash, and sweet potatoes. 4. Wash and cut the broccoli and green beans you are going to steam-sauté. 5. Collect an array of storage containers and jars for the finished food. Here are the step-by-step instructions you need to make all of this food. Have fun! 3. Get the chicken and veggies in the oven. Place the chicken thighs on a large baking sheet, sprinkle generously with salt, pepper, and garlic powder. On another baking sheet, place the cut spaghetti squash and a few whole, unpeeled sweet potatoes. Drizzle 3 tablespoons of water around the squash. Slide both baking sheets into the oven and set a timer for 30 minutes. 5. Brown the ground beef. Crumble the ground beef into a very large skillet — I like non-stick; you do what makes you feel comfortable. Season it generously with salt, pepper, and garlic powder. Cook, breaking up clumps with a wooden spoon, until it’s no longer pink. Remove the meat to a storage container, but keep the pan where it is. Time to steam-sauté those veggies. 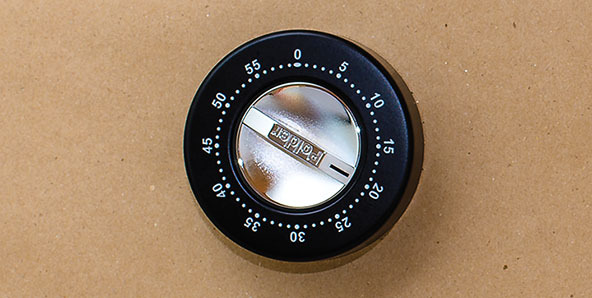 Did your 30-minute timer go off yet? Check the chicken and veggies in the oven. The chicken should be golden brown and sizzling. The squash should be tender to the touch. If yes, remove the chicken and squash from the oven, but slide the potatoes back in for another 20 minutes. If no, set the timer for 5-10 minutes and keep the chicken and squash in the oven. Time to check the chicken, squash, and sweet potatoes again. How are they doing? Are your sweet potatoes out of the oven? They should be finished by now. As your simmered and roasted dishes finish up, place them in BPA-free storage containers (like these) and pop them into the fridge. Remember: Despite what your grandma might have told you, it’s better to put freshly-cooked food in the fridge while it’s warm; let it cool slightly on the countertop then get it into the fridge. Your homemade food is safe to eat for about a week; for more on food storage safety, visit TheKitchn and TheDailyMeal. I also recommend you make a list of all the food you just cooked and make a list to hang on your refrigerator door. It’s an excellent reminder of how completely badass you are — and it makes it easy to review your home menu of deliciousness. So there you have it: Week 1. Here’s Week 2, Week 3, and Week 4. Just in case you need additional ideas, support, and motivation, here are a few more tidbits to help make your Whole30 as tasty and stress free as possible. 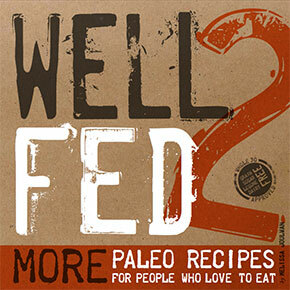 Well Fed: Paleo Recipes For People Who Love To Eat: my cookbook of Whole30-approved recipes, including Hot Plates and more ideas for how to do a Weekly Cookup. 30 Reasons to Whole30: In case all this talk of cooking has stressed you out, here are 30 reminders why the Whole30 is worth it. Stupid Easy Paleo Whole30 & Guide To Clean-Eating Challenges: Steph of Stupid Easy Paleo is supporting the Whole30 on January 1. 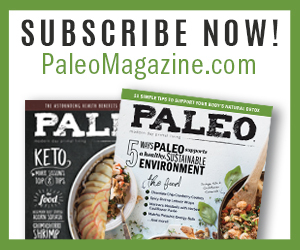 You can read her rationale here, get answers to FAQs here, and download her 14-page guide to make the Whole30 a little easier. Melissa, this is great! I have successfully completed a Whole30 and have been 95% compliant since April, feeling and looking super healthy 🙂 thank you for always sharing your experiences here, it helps so much. I want to second your comment about the Genova Tonno Tuna in EVOO. It is the most delicious tuna I have ever had, and has saved me quite a few times when I needed to make a quick lunch or dinner. It is an easy Whole30 staple and the EVOO makes it so moist and loaded w/ good fat, and great for salad topping. Its also the only tuna I have found that doesn’t have added soy. Congratulations on permanently revamping your eating habits. That’s totally awesome. YAY! Whole30 August ready! Thanks for the tips…I live sunshine sauce! I have it on everything! That means you enjoy happy sunshine every day. WOOT! I am a total Meal Plan freak to the point that people often raise their eyebrows and just walk away when I get overly excited about talking about them, but in Week One of Whole 30, I’ve been frustrated by my attempt at a meal plan. I’m so glad you found this helpful. And whatever with Aug 1 — it’s almost always a good time to start a Whole30 😉 You got a jump start! Thank you so much for this…it makes it seem much less overwhelming. Try to treat yourself gently. The Whole30 is challenging under teh best of circumstances, but add work or life stress, and it gets a little harder. But you can do it! Keep your food simple and just make sure you always have protein and veggies around, even if it’s not the most awesome meal ever (sardines, cucumbers, carrots, dipped in the oil from the sardines) at least it’s nutritious and will get you through until you can enjoy a sit-down, awesome meal. Good luck to you! You might also want to check out Nom Nom Paleo’s Whole30 posts because she works 12-hr shifts overnight in a hospital pharmacy. I tried to do the Whole30 and failed after 6 days. I have a cheese addiction that I can’t seem to break. I am going to try the Whole30 again cause I believe that dairy isn’t doing me any favors. I am going to use your template for the first week and see how I do. I’m hoping those fantastic dressings will make me not want cheese so much…we shall see. Anyway thank you for sharing this with all of us so we can all have a chance to succeed. It’s truly appreciated! The creamy dressings should help. If you know days 5/6 are hard for you, plan to eat a little more fat on those days to help you get over the cheese thing. Each day you get further, it makes it easier to do the next day. You can do it! I’m also a huge Dairy Queen and I still indulge in occasional cheese (not during a Whole 30, though). Mel’s right about the creamy dressings. I also found for me that making my own mayo (see Mel’s recipe) or adding avocado to things also helped by providing that creaminess and mouthfeel that comes from the fat in cheese. 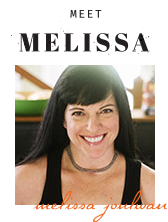 Also make sure your food has flavor – another thing that make Mel’s recipes really work for me. Kick up the flavor with herbs and spices. When you make it through a Whole 30, you may also find as I did that your overall cheese desire lessens significantly. While I’ll not make dairy a complete taboo, being mindful on when I’m eating it and what I’m looking for from eating it has really helped. Thank you for all the wonderful information and recipes! This post from Cook’s Illustrated has FDA information about what to do with hot food. They recommend *not* putting it in the fridge until it has cooled some, as it brings the temperature of the fridge down too much. These days, if I have to put hot food in the fridge, I make sure to put a bunch of ice packs in there with it to help keep the fridge really cold. I’m actually starting another 30 days on Aug 1st so perfect timing! Best wishes for a great Whole30! Starting Whole 30 on Aug 1, doing some prep tonight. My mayo came out tasting perfect but mine came out with a distinct yellow color. Not sure if it was the egg I used or what. Tastes delicious though! Thanks for this post on tips! Could be the egg, could be the dry mustard. I’ve heard this a few other times from other readers, but it doesn’t seem to affect the taste. Theoretically… Could you make the zucchini soup with yellow squash? I have a lot to use! Is there anything you would do differently? Love this post…its perfect! I’ve been mostly paleo the past couple of Weeks except for a little maple syrup in my latte every morning so that will be the hardest thing! But both me and my kids are on it now, and its great! Well I’m a little more lenient with them because I don’t have them full time…but I’m happy with how they’re doing! Hmmm… I’m not sure if yellow squash will work. Yellow squash has larger seeds and a less creamy texture than zucchini, but the flavors are quite similar. If you want to test it, you could just cut up one yellow squash, cook it in water or broth, then puree it to see how the texture comes out. If you like it, you could make a whole batch. Congrats on switching your family to paleo. That’s awesome! I just made 2 batches of mayo for my upcoming whole 30. One basil mayo, with basil from my patio garden and a chipotle mayo! Top for anyone wanting to add flavors/herbs, blend together with the 1 cup oil, then set aside and proceed as if you hadn’t just had a flavor party. That’s such a great tip! Thanks for sharing!
. I am going to use your template for the first week and see how I do. I’m hoping those fantastic dressings will make me not want cheese so much…we shall see. Good luck! You’re gonna do great! Love a challenge! I’m trying my own August challenge; meat and three veg for every meal in August. It’s similar to the Whole30 but rules are easier to remember. Love that idea! In my mind, that’s what the Whole30 is, really, but I love how you’ve boiled it down to its essence. Right on! I have tried to like coconut anything but I just don’t like it. I have forced it down, many times, in hopes that I would aquire the flavor but it’s not happening…haha! In place of coconut milk can I use almond milk instead? I know it’s not as thick as coconut milk so I’m assuming it drastically changes the consistancy. Thoughts? I’m sorry! I’ve never tried almond milk, so I don’t know how it would work. If you decide to try it, make sure you use homemade almond milk because most commercial brands include junky ingredients. Is there another type of “milk” that is not coconut that would work better, do you think? I have tried coconut milk and I just do not like it. It over powers everything I make with it. I don’t mind a hint but I like the other flavors to come through too. Maybe it’s the brand of coconut milk I bought. I will try a different brand see if it tastes different. What brand are you using? I really want to like it because of the health benefits. Also, almond milk is paleo as long as you make it yourself. the store bought stuff has a bunch of extra junk in it. Hi Melissa! I am soo glad I found your site, it’s so encouraging! I’m new to eating clean and will be starting the Whole30 plan this weekend. I’m having a hard time finding a good egg casserole recipe! I’m not a morning person so I would love to bake the night before and be able to reheat it the next few mornings or even evenings. Do you have any good suggestions for me?? Greetings Mel, where is the whole 30 week 2-4? I am about to start my first Whole30 and this post has me feeling a bit more prepared and feeling like I *can* do this. Thanks Mel!!!! Congratulations on Whole30-ing! You can do it! Wishing you a great month! I love you! Thank you, you have saved my first week. VERY helpful!! Hi there! I’m going to start my 1st Whole 30 on Monday, and I have read “It Starts with Food” as well as “Well Fed”. Thank you so much for helping with the meal plans and your wonderful book, I have a feeling both will prove to be invaluable resources. I was wondering what type of tomatoes you would suggest using in the hot plates. Thanks again! Congratulations on taking on the Whole30! Wishing you smooth sailing and lots of good food! For the Hot Plates, you can use either fresh diced tomatoes, or canned… I like Muir Glen fire-roasted because they taste good and the cans are BPA free. Love the week 1 plan. It made it really easy to start the Whole 30. Do you have a week 2, 3, 4? I get the process, but your recipes are so good and it really helps to buy things for the week that are used in multiple recipes. I can’t seem to make my own week plan. I’m so glad you found the Week 1 plan helpful. I haven’t done additional weeks — the whole idea was to give an example so Whole30-ers could do week 1 with help, and then make their own plans. Maybe after the brouhaha of launching Well Fed 2 dies down I can tackle additional weeks. Hope your Whole30 was awesome! I have used most of your recipes for dinner! I am 21 days in andfeeling great! Love the chocolat echili and have made it twice already. Thanks for making it easy to make good healthy meals! Congratulations on Whole30-ing — you’re so close to the finish line. YAY! Glad to know my recipes are making it a little easier and tastier. Started paleo this week. On Sat had no idea how I would eat this way & enjoy my food. The recepi’s you have provided are awesome. I also love how you show how to cook everything at once. Everything is easy, tastes awesome. I havnt made the sauces yet. Thank you so much! Congratulations on joining the Paleo Club! It can seem overwhelming at first, but you’ll get the hang of it in a few weeks. I’m glad my recipes and plan helped you out! Wishing you good health and lots of fun adventures in the kitchen! WoW Girl! You are Amazing for putting all that down for us! I’m glad this was helpful to you! I’m working on an even bigger, better Whole30 menu and shopping guide for later this month to help everyone doing Whole30 in January… stay tuned! Where can I get 3 more weeks! I need guidance and a plan to prep ahead for the week! I eat the same things for breakfast that I eat at other meals: protein, veggies, and fat. Try a saute of veggies with ground meat and sweet potatoes. My favorite is ground beef, cabbage, sweet potatoes, and Tsardust Memories seasoning from Penzeys. I also eat the Silky Gingered Zucchini Soup for breakfast alongside my saute to get more veggies in. Congratulations on tackling the Whole30! 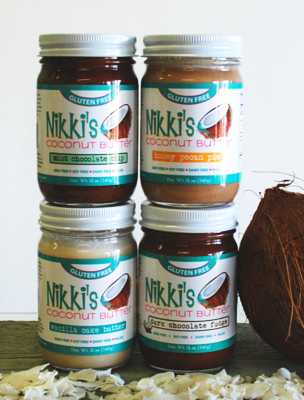 For coconut milk, you need to get the canned kind — usually in the “ethnic” or asian food section of the grocery store. The only ingredients should be coconut, water, and guar gum. Bonus if you can find it without guar gum, but most brands include it. You want to steer clear of the coconut milk in the carton in the dairy section — that always has yucky extra ingredients. I am starting my first whole30 after reading ‘It Starts With Food’ from cover to cover. I stumbled across your blog through Pinterest and just wanted to say Thank You!! Your suggestions and recipes are amazing and I can’t wait to start my whole30 on Monday. I’m so glad you found me — and best wishes for an awesome Whole30! Keep me posted on how you’re doing! I will be starting my first whole 30 next month and love your blog and all the great advice you give. Thank you!! Quick question…the three recipes you give above, is this it for the whole week and we use leftovers in between? Or are these just three examples and we need to add in other recipes for the rest of the week? I’ve meal planned many times before and I’ve seen others do it both ways. I think I just need a little more direction for my first Whole 30 and wanted to stick to how you recommend it for the first couple weeks. The food listed usually feeds my husband (giant!) and me (average size) for a week, give or take a meal or two that we eat in a restaurant. That’s an AWESOME photo. Thanks for sharing! Happy eating! 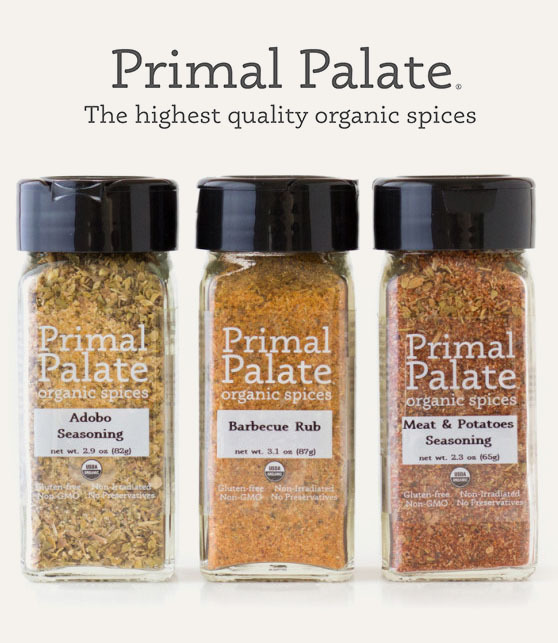 Totally stoked to find this (via the Whole30 web site, of course). I’ve been eating Paleo-ish for the past few years but want to get back on the wagon, so I’ll be starting Whole30 on Oct. 1 2014. (Ikeep calling it a Paleo Cleanse to my friends). I get bored with the few paleo cookbooks that I have and I’m such a busy person that just having all this stuff cooked ahead of time makes a heck of a lot more sense. I cook massive amounts of chicken and veggies anyway to eat on during the week at work, so this should be relatively easy to spend a Sunday doing … and I get to throw in new stuff! Thanks! Sounds like you have a great base to build on. Congratulations on taking on the Whole30. I bet you’re going to love it! Thanks! I think I meant to say I like the idea of just keeping everything Paleo in the kitchen and then just grabbing what I feel like cooking that night, as well as prepping a whole bunch of stuff ahead time (which I do anyway but typically only for a few lunches that typically consist of chicken and sautéed veggies, so I’m very bored with my habits). Anyway… basically, it’s time to be focused! I’m on day 13 of my first ever Whole 30, and I’m loving it! Your meal plans and recipes have made it easy. 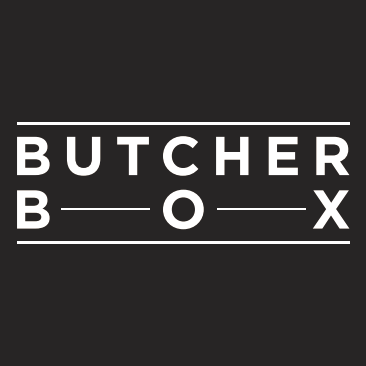 Have finished up weeks one and two, and am now planning to repeat….but with MORE MEAT! I’ve found that I run out of my protein before week’s end and have to scramble for protein (usually literally, with eggs, LOL) by the end of the week. The soups are fantastic, the chili is the BEST, and this week I’m doing the Italian crock roast with a beef chuck roast instead of pork (although the pork was fabulous). I also did a trial cook-up the week before I started so that I could trial-run everything before actually starting; that really helped me be a little more adventurous in the kitchen without the pressure of “falling off the Whole 30 wagon” if something didn’t work out. Keep up the good work! 17 more days to go……. Congratulations on Whole30-ing! That’s awesome! And well done on your cookup! I don’t have an “eat this on this day” plan, and I don’t know of any resources that include that kind of plan for the Whole30. The Paleo Parents new book Real Life Paleo includes daily meal plans, but it’s not 100% Whole30 compliant. Try not to overthink it too much. I know the Whole30 can seem daunting, but you can do it. quick question so I started whole30 on Dec 01. and I went out to an all organic all raw restaurant and I asked the owner what on their menu was whole 30 approved and he said everything was, including their desserts which I partook of (this one specifically *ingredients listed*: http://cl.ly/image/1I1n430z1q3s) I posted it on social media and a friend referred me to this statement from whole30 “Do not try to re-create baked goods, junk foods, or treats* with “approved” ingredients. Continuing to eat your old, unhealthy foods made with Whole30 ingredients is totally missing the point, and will tank your results faster than you can say “Paleo Pop-Tarts.” So my question is was I in the wrong to eat something like this? I figured since all of the ingredients were all something I would have ate normally just not creatively put together how they were that it would be okay but other people had a different opinion. Thanks for all you do to help! The creators of the Whole30 emphasize that the Whole30 is about more than just the yes/no list of food — it’s also about understanding and re-shaping your relationship with food. 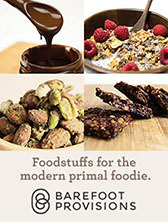 So that’s why they recommend no paleo treats, even when the ingredients are all on the ‘yes’ list. It’s a fine line/gray area so my advice is that for the 30 days of the Whole30, skip dessert, even if it’s made of Whole30 ingredients, unless it’s a once-in-a-lifetime opportunity to eat it. When doing a Whole30, if you eat something that’s on the no list of foods, it’s important to start over (to give your body the full 30 days of healing), but for something like this, you don’t need to start over, I don’t think… but probably avoid the dessert next time. what is the best storage container for the olive oil mayo when i make it ahead? Also, will extra virgin not work? That is what i have on hand. A glass jar or BPA-free container is good. Extra-virgin tastes too much like olives and the resulting mayo is really nasty. I 100% recommend against using extra-virgin; I think you’ll be very disappointed. Thanks! I will go ahead and buy non-EV oil and give it a go. Starting my first whole30 on monday so plan on getting prepped over the weekend and making some mayo ahead of time. My boyfriend and I completed a while 30 in January. It was his first one (my second, but I’ve done paleo for short durations several times before) and he had a LOT of concerns. Your cool ups saved us and we have adopted this style of food prep into our lives. Our one major argument; how long is good safe to eat? Most websites and information says cooked chicken/turkey 3 days, other meats 4, and 3-4 days for cooked veggies. As far as I’m concerned if it smells fine and looks fine it is fine and I’m totally content eating foods we made on Sunday the following Saturday. He did it this way for a month and neither of us got ill, but now he’s insisting we keep nothing past that 3-4 day mark. I really don’t want to cook in the middle of the week or go grocery shopping multiple times. We froze half of the meats this week so we can start “fresh” mid week, but we’re out of veggies except frozen. Ok, this is way too much explaining. I guess I just wanted to know why you said the food cooked on Sunday keeps for about a week when every other source says no more than 4 days? Thanks! P.S. Love your cook books! It says you added salt to the ground beef isn’t that one of the rules of the Paleo diet you can’t have salt? Or is it okay with the whole thirty… I have no problem with sugar I am, however addicted to salt! First, salt makes your food delicious. Second, when you cut out processed and packaged foods, you remove the vast majority of sodium from your diet. Adding salt to your Whole30 plate won’t push you over reasonable sodium limits, and if you avoid salt altogether, you run the risk of an electrolyte imbalance (not to mention serious food boredom). We encourage a mix of iodized table salt and sea salt. It’s like you opened my brain, put it through a “healthy” filter and wrote this. I love the way you think and this is the most tangible ( for me) approach to Whole30 I’ve seen yet. Thank you so much! I’m on Day 16 of my Whole 30 and the prep is getting to me–as in, I’m not doing it right! I’ve noticed that you steam/saute a lot of your veggies and I was wondering if I could julienne some of them, but leave them raw in the fridge? For example, if I julienne a few sweet potatoes for easy hash throughout the week, do I need to cook them first or can I just julienne, put them in the fridge and use as needed? Thanks! You can store cut up veggies in the fridge and cook them to order — whatever makes it easy for you to eat veggies is a big win! Thank you! I’m so new to this way of eating that I want to make sure I’m doing it right! 🙂 You’re website and books are a treasure trove of information as I dive into the Whole 30. Thanks for such fantastic resources! Thank you – great posting. I’m just getting started with this way of eating for various reasons. One question is I am a pre-diabetic and I do need snacks. I cannot go too long between meals. Are the only snacks basically a veggie of some sort (raw maybe) and a protein of some sort to go with it? Any other ideas? Thank you! For the best blood sugar and hormone management, your snacks should include at least two of the three macronutrients, so some combo of protein, carbs (veg, fruit), and fat. Bonus points if you get all three in a snack! Examples: chicken and cucumber strips, apple and nut butter, tuna with avocado and bell peppers, hard-boiled egg and almonds, etc. Hi Melissa – loved this idea and it really helped the hubby and I tackle week one shopping and food prep with out feeling overwhelmed(despite the 5.5 hrs we spent cooking!). I have two questions for you… 1) we’ve made all the food above (minus the soup) and now that it is all prepared do you have any suggestions for hot plate combos using the prepared compoenents? and 2) my mayo didn’t turn out right, it didn’t seem to emulsify and is watery. Any common missteps here? I’m a pretty good cook/receipe follower. My ingredients were room temp, i poured the olive oil into the blender slowly and added the lemon juice at the end. Just can’t figure where it went awry. Any suggestions are appreciated! Congrats on tackling the cookup! 1. I usually just let my tastebuds be my guide with the Hot Plates. 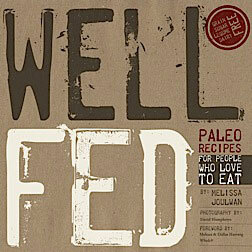 Do you have Well Fed? There are dozens of combos listed… if not, what I usually do is think about what I’m hungry for — italian, mexican, chinese — and go from there. For example: For Italina I’d add diced tomatoes, garlic, fresh basil, olive oil… for Mexican, salsa, avocado, chili powder, cumin, lime juice… for Chinese, ginger, scallions, sesame oil, Chinese Five-Spice Powder. Then I just pick veggies that seems to make sense: zucchini and green beans work with just about anything. 2. Sounds like you mis-read the mayo instructions! The lemon juice goes into the blender with the oil and egg at the beginning. The acid helps with the emulsion. You might be able to save what you’ve got… put an egg yolk and 2 tablespoons lemon juice in the blender, then slowly drizzle in the liquid mayo. Good luck! Thanks Melissa – I don’t know why but the mayo receipe in the Whole30 book says to add the lemon juice at the end. I just followed your instructions and it came out perfect! Thanks again! Melissa and Dallas adapted the recipe for their book. There are so many mayo recipes out there… glad my tips worked for you! The grocery list is for 1 person or a family? It doesn’t seem like enough protein if an estimated 1# per person per day. So our family of 5, would need 35 pounds a week? Yes, for a family of five, you’d need to probably double what’s listed here. These amounts feed me (5’4″, active) and my husband (6’5″, active) for about a week. Hi Melissa! I absolutely love the mix of prep and free form that you do! We tried the week one plan and found GREAT success with veggies! However, my huge dislike of ground meat reared its ugly head, both in ‘I don’t want to eat this.’ and ‘I don’t know how to serve this!’ So I have two questions for you, do you really eat the meat ground up; and if so, how?! Could I do the ground meat recipes, but with chunks of beef instead, like maybe stew meat? Okay, I guess that ended up being three questions. Thank you so much for sharing your great ideas and recipes with us! We plan on starting our Whole30 on October 1st, our little family of 5, so I’m getting all my ducks in a row! I usually opt for ground meat because it cooks so quickly and it’s so versatile — and I love piles of veggies with crumbles of ground meat so it’s like hash. But if you don’t, you should make it another way! A tender cut of beef like sirloin would work, but stew meat needs to cook slowly to get tender, so I wouldn’t recommend using stew meat in a sauté situation if it hadn’t been slow-cooked first. If you don’t like the texture of ground meat crumbles, you could make meatballs or burger patties and use them the same way. You might make burger patties, then cut them into chunks and use them in a sauté. We do that sometimes when we have a big pile of burgers cooked all at once. Best wishes for an awesome Whole30! Thanks for reading. Right on! I’m really glad the Hot Plates are working for you. The best thing about them is that you can do it your way. YAY! This a great post for Whole30! I am venturing on 2 round and was wondering if there was a way to print your post? The best way is to copy and paste the content into a word processor, than you can delete photos and extraneous info. I have a print utility, but only recipes pages.